Seyðisfjörður provides an ideal destination for cruise ships and ferries. It has been the main destination in East Iceland for cruise ships and ferries from abroad for decades. The approach to Seyðisfjörður (approximately 10 NM long) is very safe, free of skerries and hazardous shallows. The peaceful village, shaped by Norwegian entrepreneurs over a century ago, lies sheltered by dramatic snowflecked mountains. 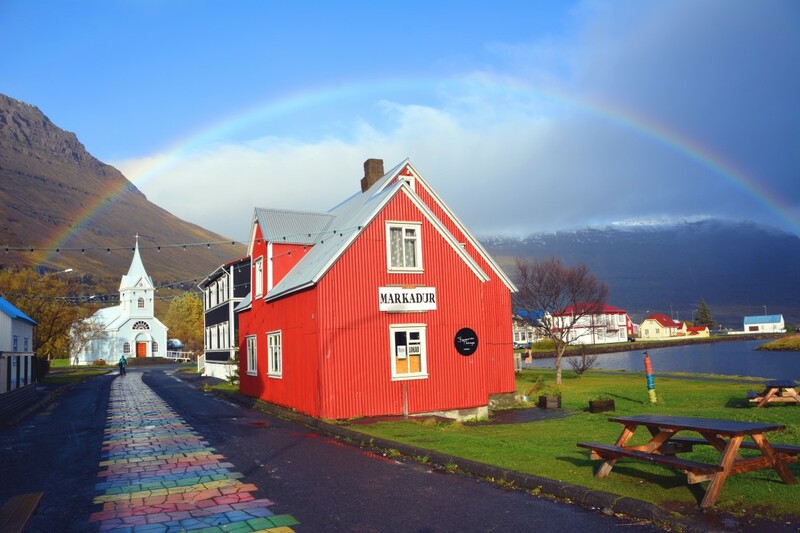 The colourful, Norwegian-style wooden houses render this village unique in Iceland, and hiking trails around town, out along the coast, or by the Fjarðará River allow for many pleasurable and relaxing experiences. 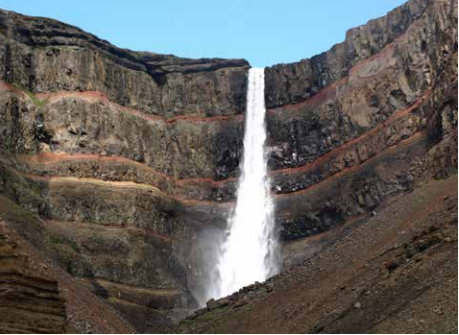 Seyðisfjörður is distinguished by its close proximity to a natural wilderness, some might even consider it to be bordering on uninhabitable. The climate and its harsh tendencies have shaped those living here. Seyðisfjörður is home to approximately 700 residents, who have traditionally lived off fishing. In recent years, however, tourism has grown rapidly. During the summer, Seyðisfjörður has a thriving arts scene, with visiting artists and a growing community of artists-in-residence. The Skaftfell Cultural Centre contains works by some of these, including the Swiss-German artist and former Seyðisfjörður resident, Dieter Roth (1930—1998). 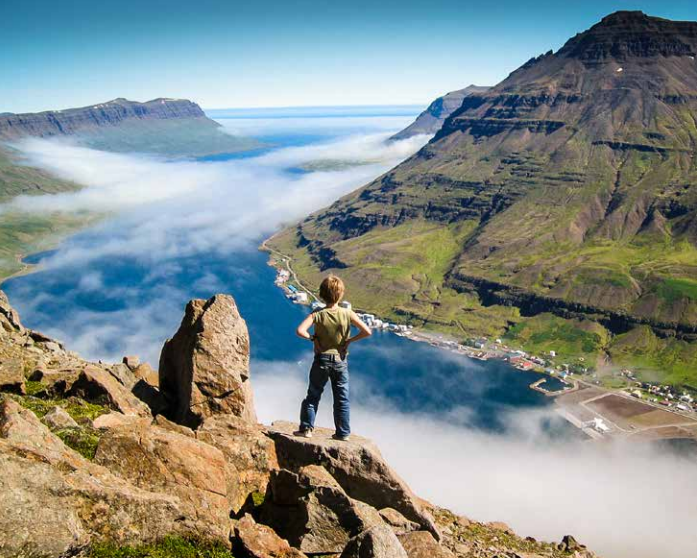 Lonely Planet placed Seyðisfjörður seventh within fourteen Icelandic ‘must-see’ destinations. East Iceland is a region of diverse natural phenomena, with glaciers, forests, bird cliffs, vast expanses of land, deserts, majestic mountains and narrow fjords. In every valley or fjord you can find cascading waterfalls and beautiful rivers. Herds of reindeer roam the highlands and mountains, moving to lower ground in wintertime. The ocean air and highland scents give you a fresh feeling that makes you want to spend even more time out in the wilderness. East Iceland is a gem of natural wonders and history, and it is a region rich in relics from times long past.